Loyola University, Baltimore MD – Target Technologies International Inc.
We are very pleased Loyola University in Baltimore, MD chose to have their old synthetic turf recycled utilizing our program. 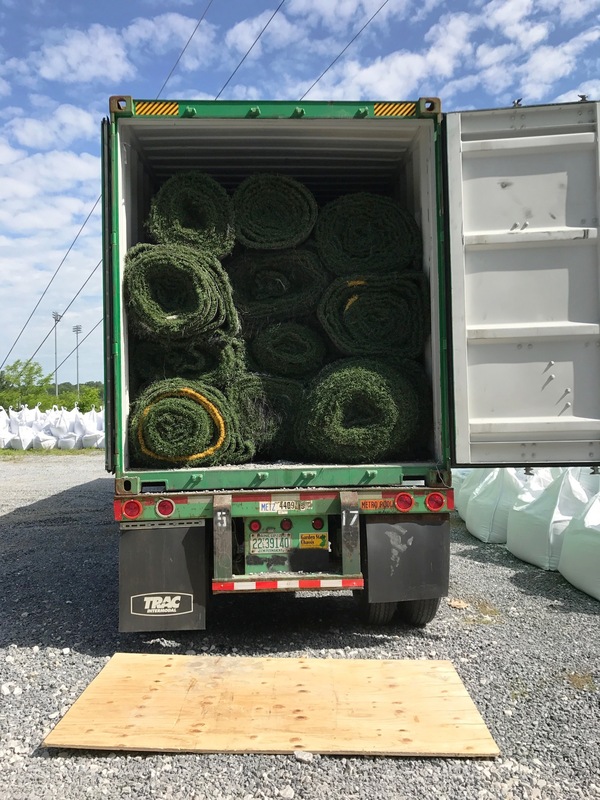 Currently, we are the only company globally able to recycle 100% of the turf including the backing and infill (if the contractor is unable to remove the infill cost effectively). Once we have fully met our commitment to recycle 100% of the turf and produce post-consumer products, a Certificate of Compliance is issued.